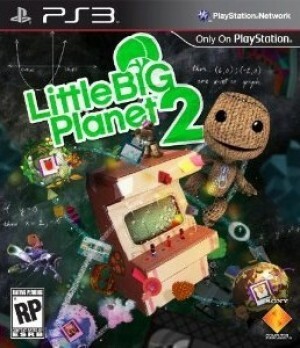 The Newest Rant: Thoughts on Littlebigplanet 2. I've played a bunch of Littlebigplanet 2 in both single-player mode, user-created levels, multiplayer, and the creation mode. I decided I would share my thoughts in what isn't quite a review, but more of a preliminary opinion. This is one fun game, to put it simply. From the well-designed single-player levels (that you are encouraged to make a multiplayer affair) to the outrageous user-created levels that can feel like completely other games, if you don't enjoy Littlebigplanet 2 you must not enjoy being entertained. 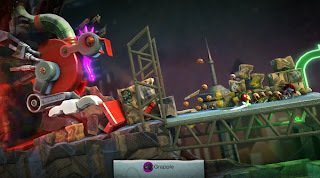 I've played through a good chunk of the single-player and can safely say it is quite fun, but the real excitement occurs once you start playing community-created levels. From a level where you are a lab-rat to a exact replica of Donkey Kong, it's incredible what people can make. 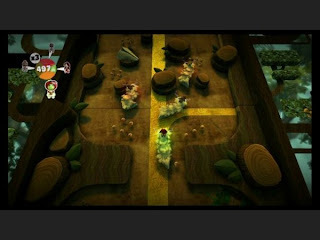 The cooperative play is great too, with you teaming up with others in the original game or the countless user-made ones. You can make your own stuff too, of course, and the level creator is incredibly versatile. Making a simple level isn't too complicated, but if you want to create an incredible new game you will need a lot of time and work. I haven't played through the whole game or done a ton in the creation mode, so take this review with a grain of salt, but in my opinion this game is just plain awesome and worth checking out at least as a rental. It's fun, funny, and....something else positive that starts with an "f". Rent it, Buy it, just play it!